Are you ready for the weekend? I thought this week just flew by! 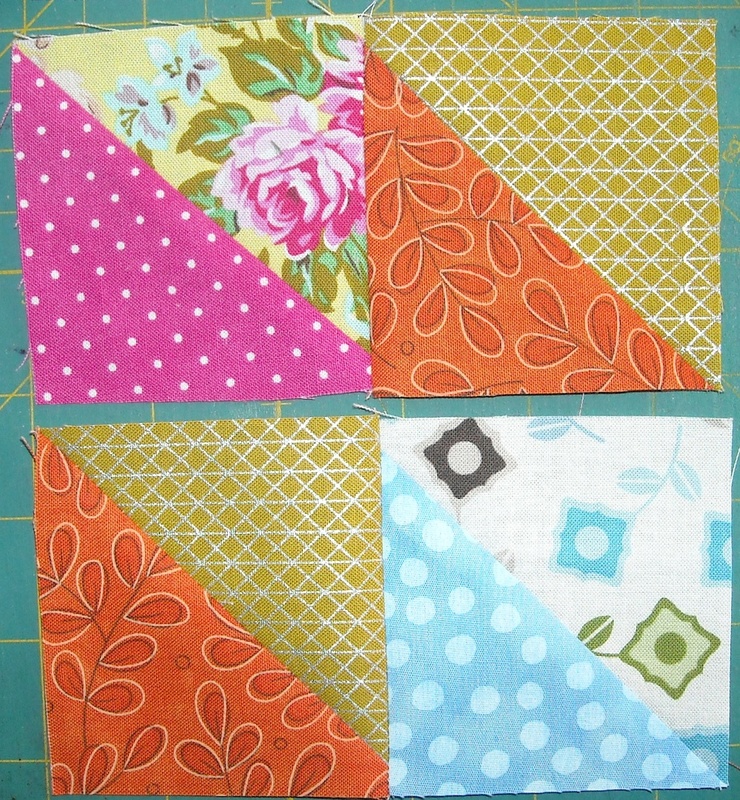 And we’re up to Block 9 already! 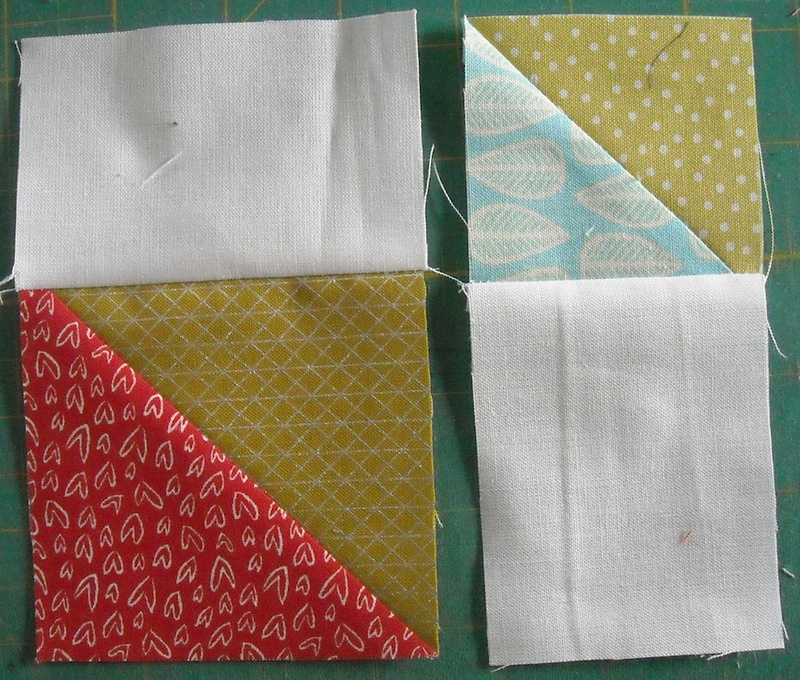 This quilt-along is flying by — I hope you’re keeping up. We’ll begin by piecing the lower left section. 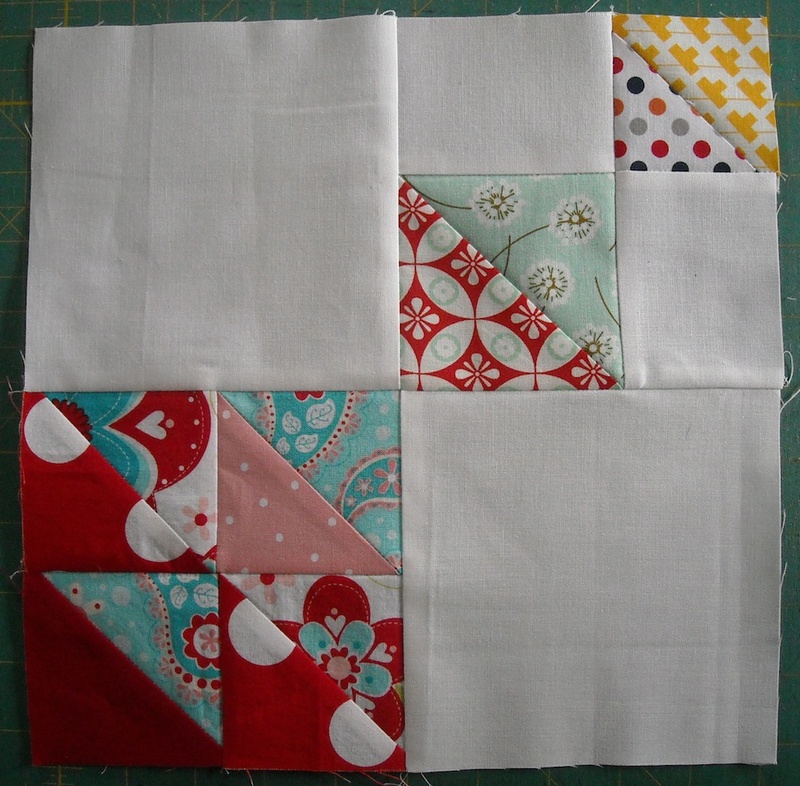 Join the units together into pairs, pressing seams in opposite directions. 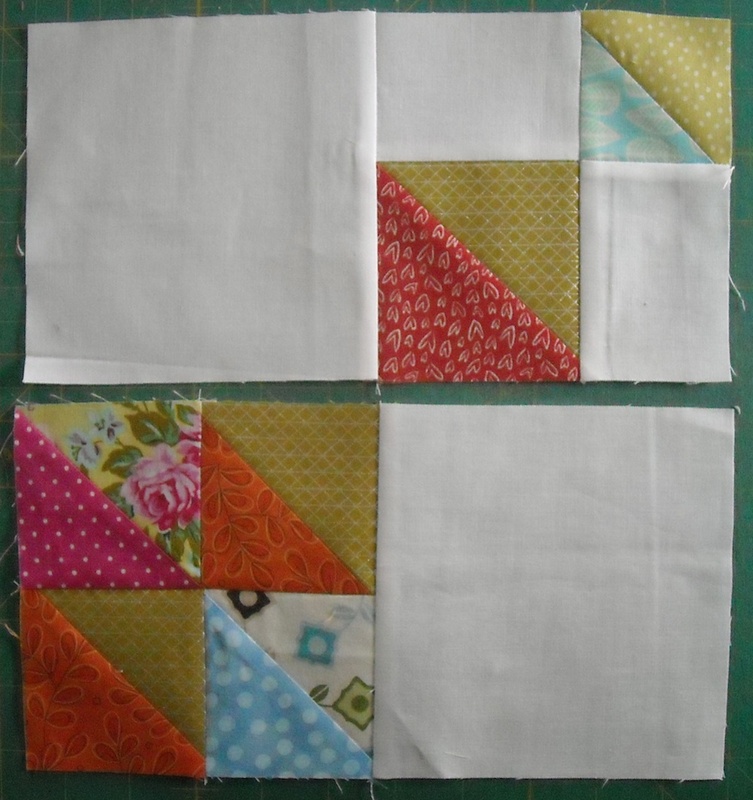 Join the two pairs together to complete the section, pressing the seam to one side. Now we’ll do the upper right section. 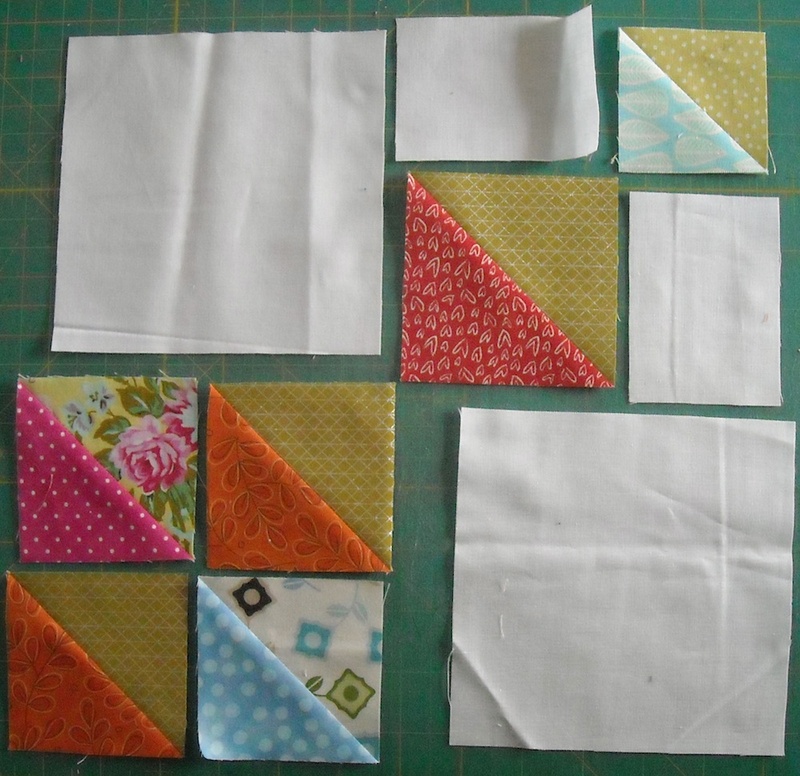 Sew the background pieces to the half-square triangle units as shown, pressing seams toward the background fabric. 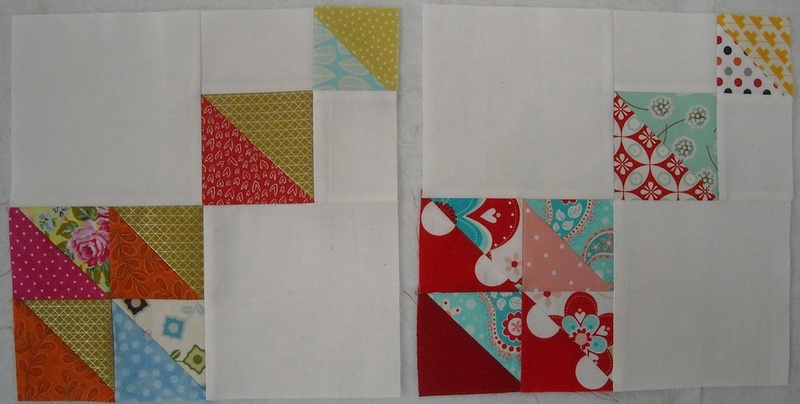 Sew these two units together to complete the upper right section, pressing the seam to one side. 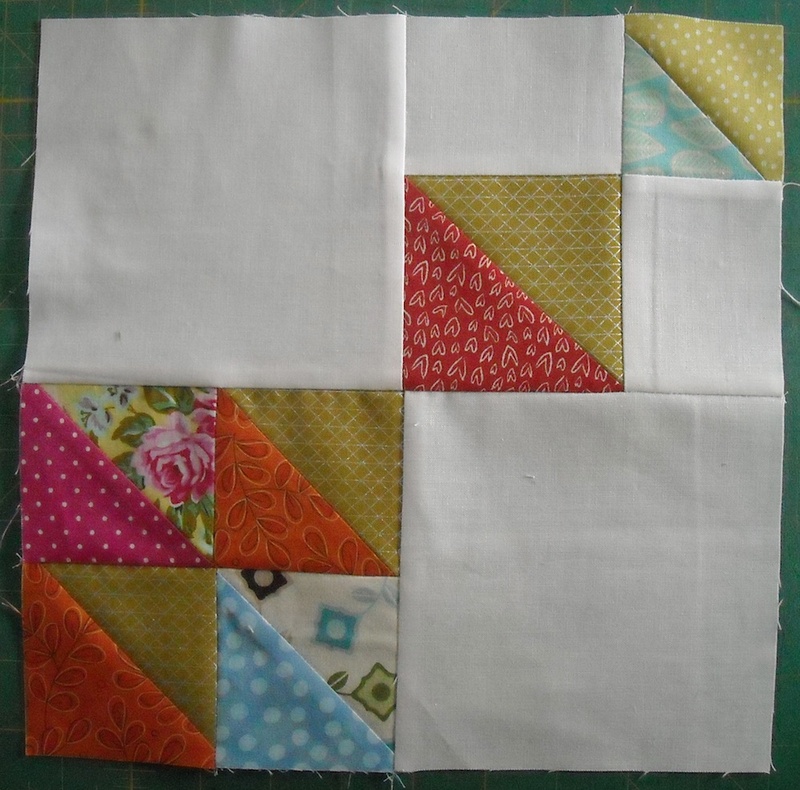 Now, sew the background squares to the sections, as shown here, to make the two halves of the block. 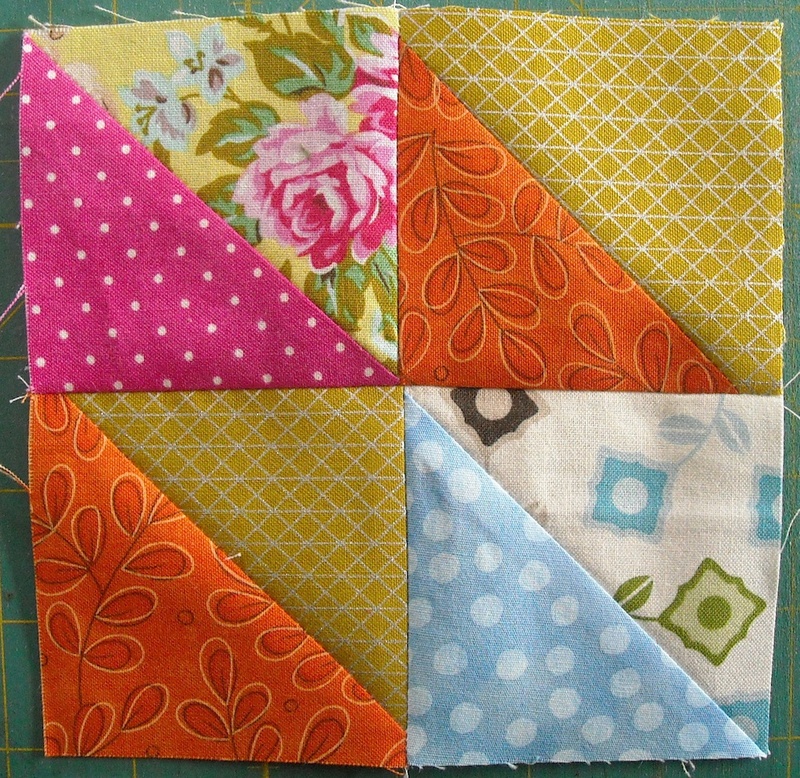 Press seams toward the background fabric. 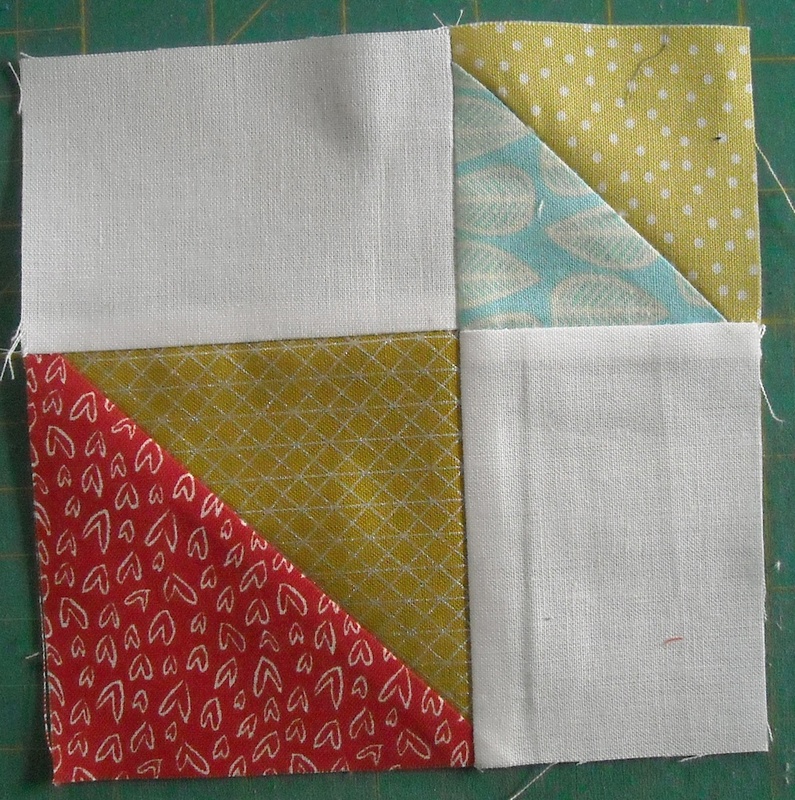 Join the two halves together, pressing the seam to one side, and you’re all finished! Label these with your Block 9 label, and have a great weekend! We’ll continue on with Block 10 next Monday.